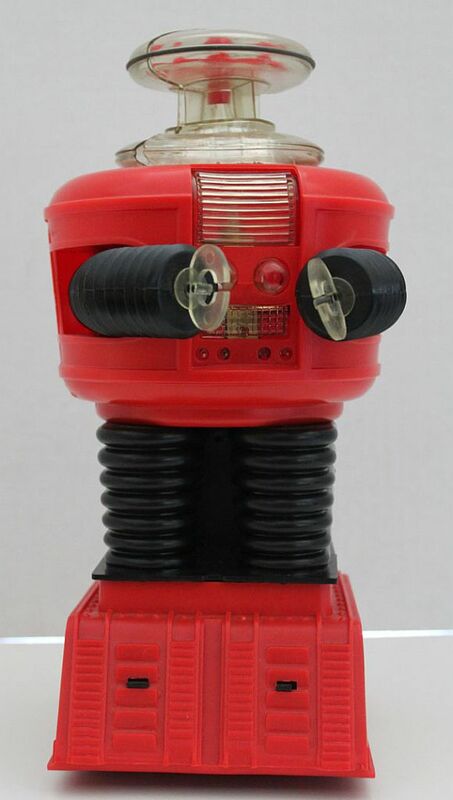 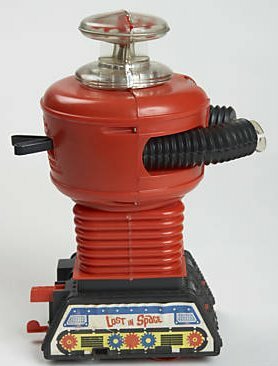 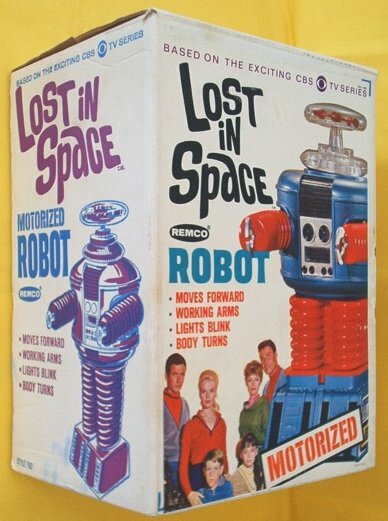 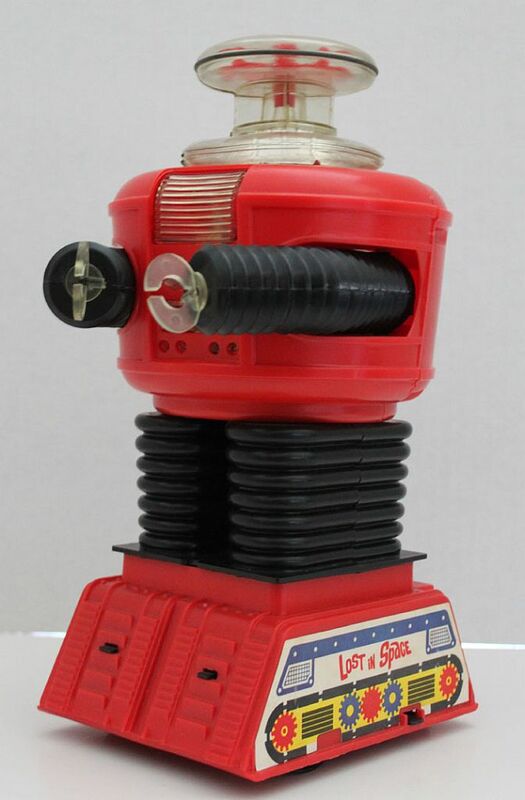 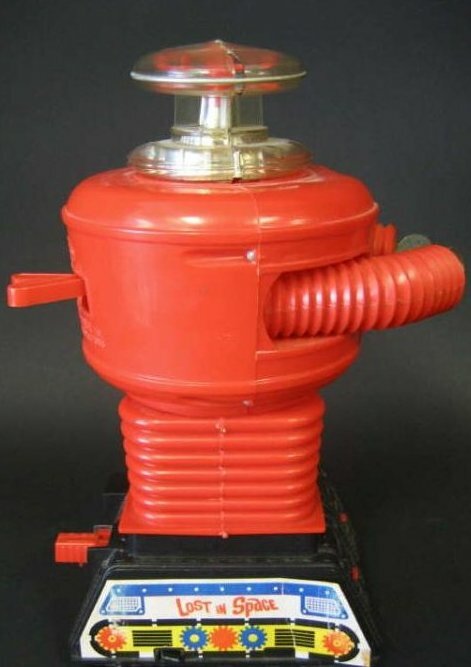 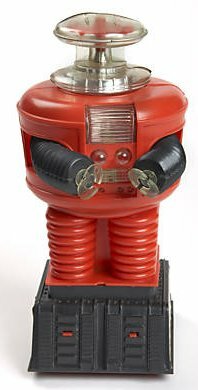 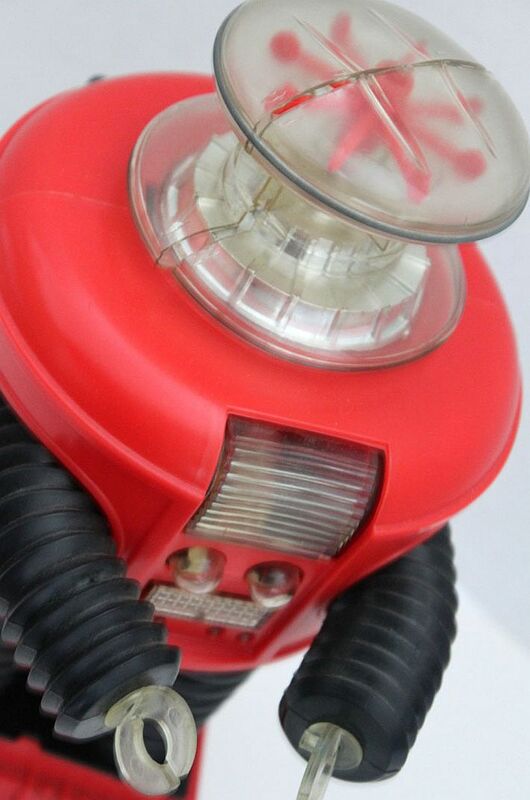 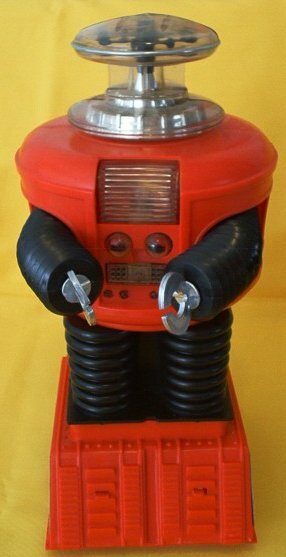 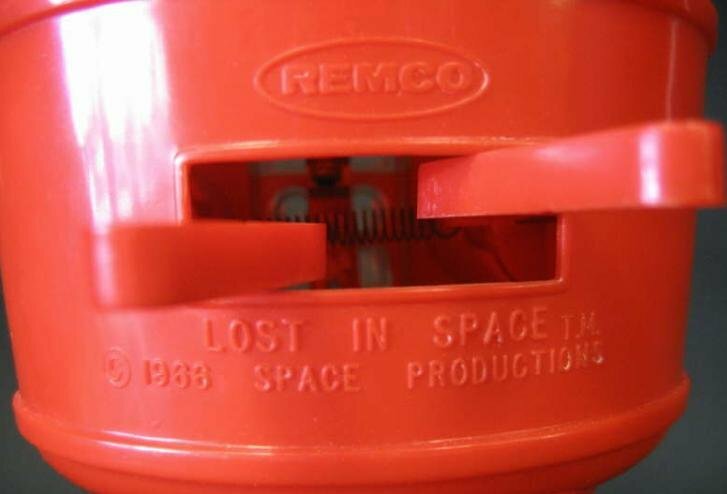 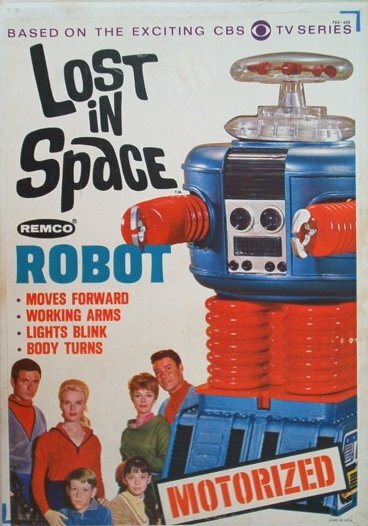 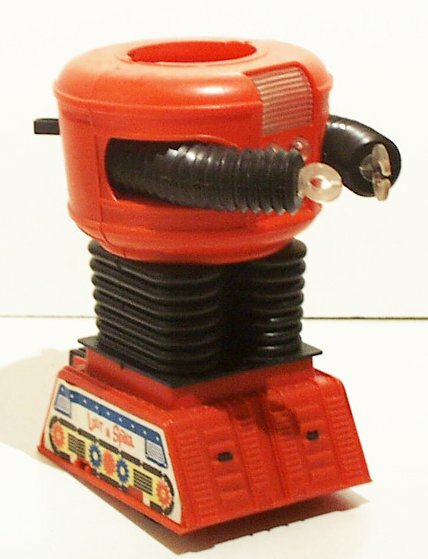 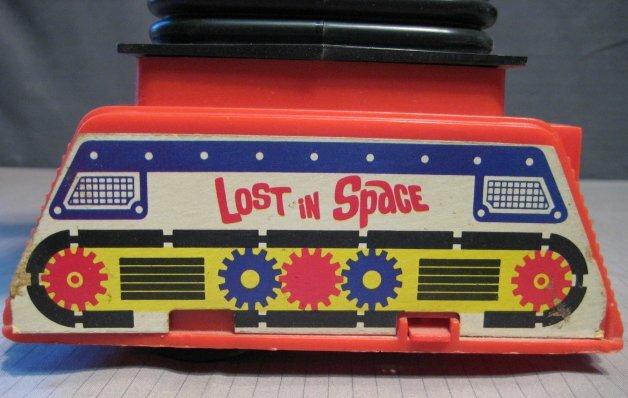 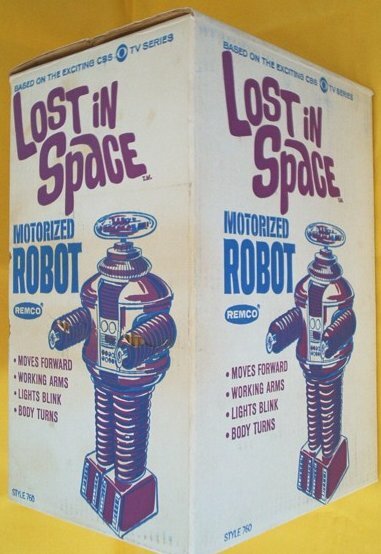 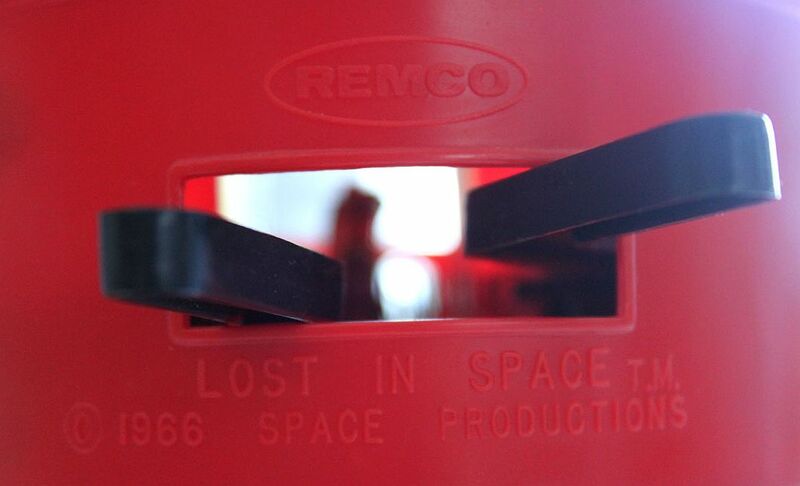 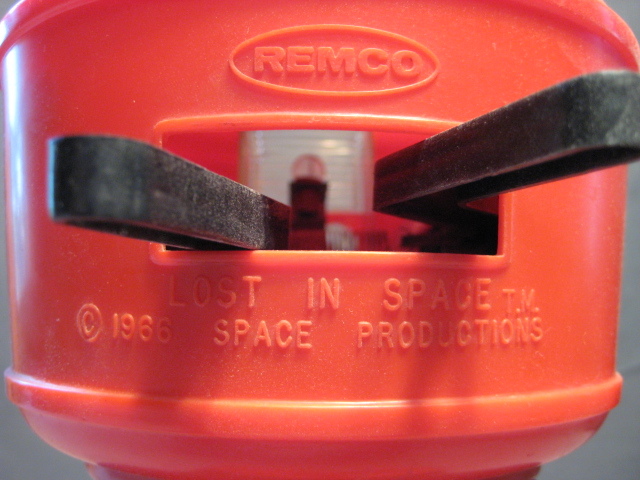 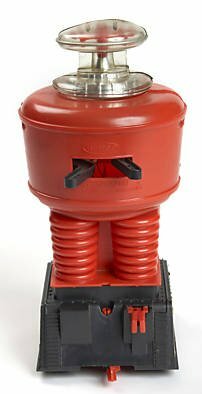 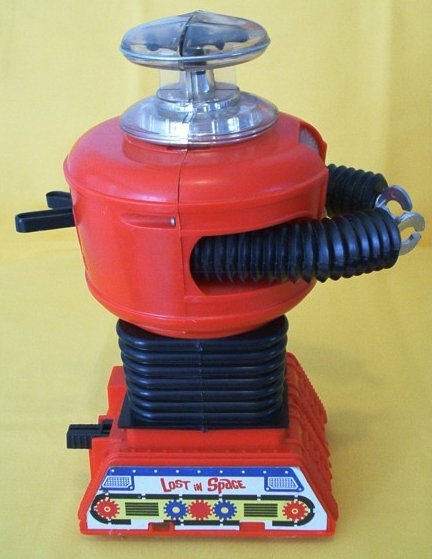 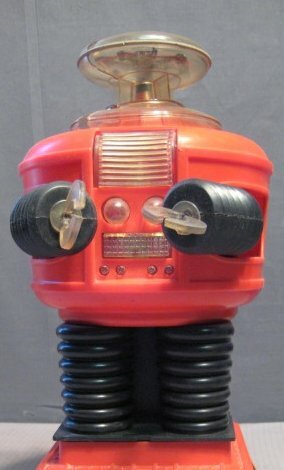 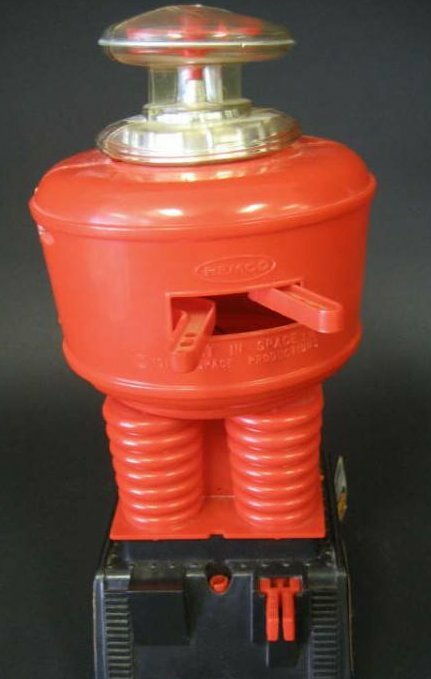 The Remco B-9 Lost in Space robot is slightly over 12 inches tall, and this one comes in the highly desirable red-black color combination. 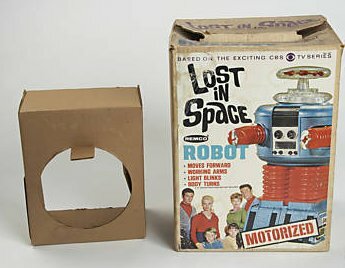 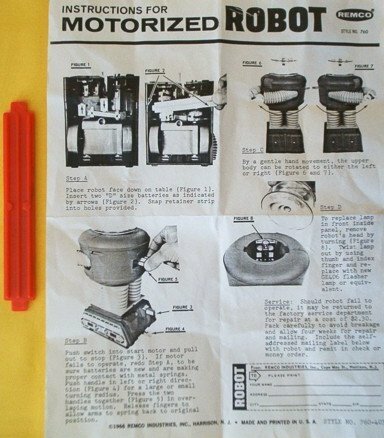 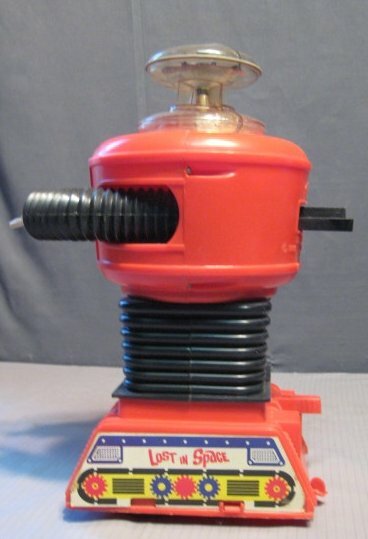 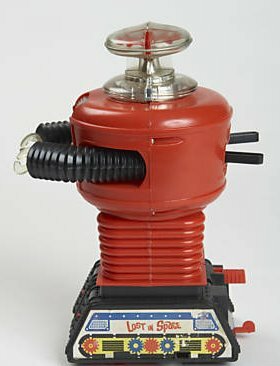 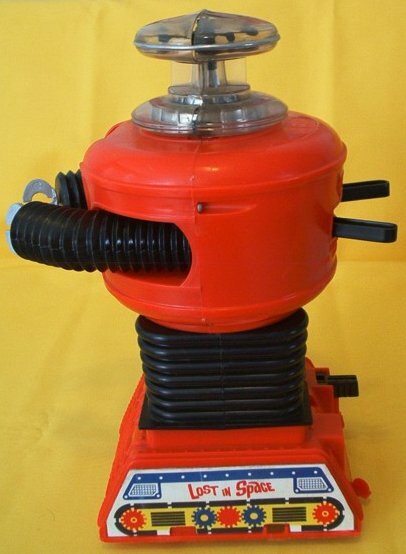 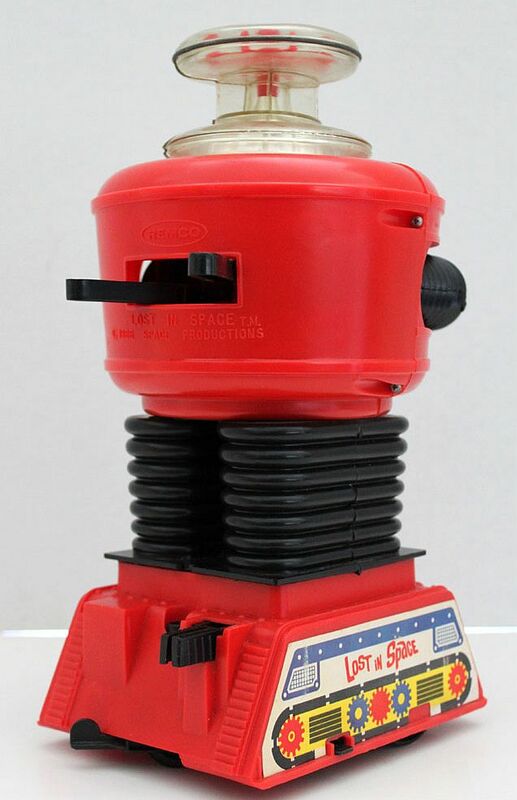 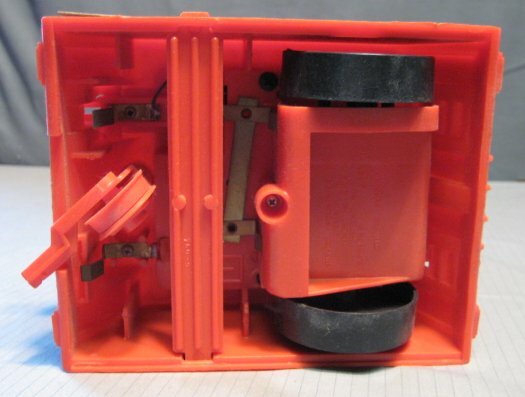 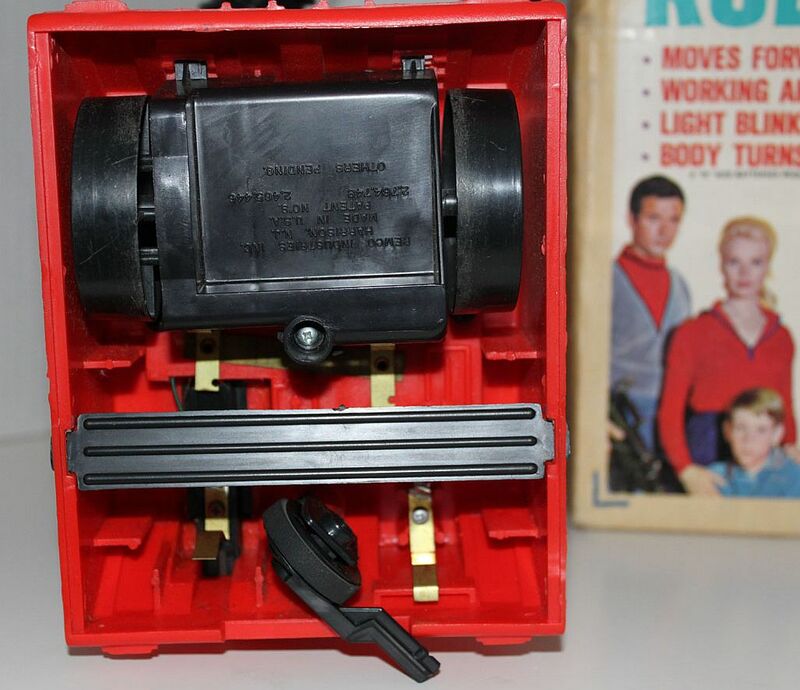 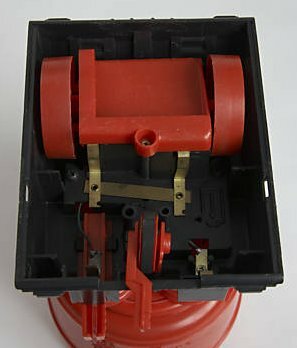 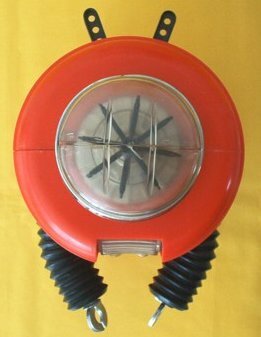 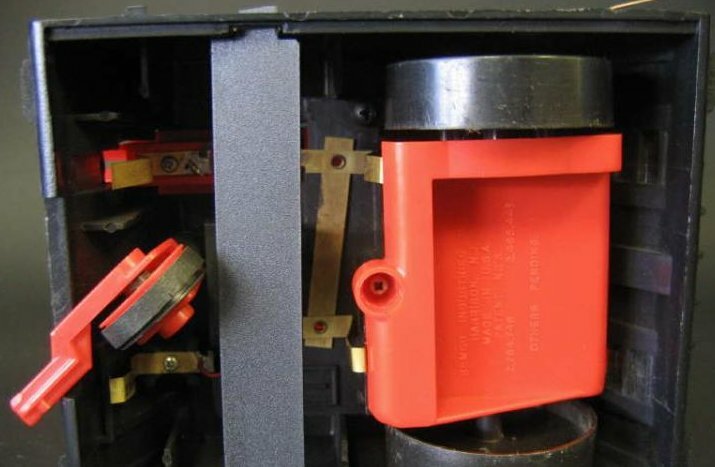 This is a battery-operated Robot that works with two D size batteries that are held in place by the original battery bar. 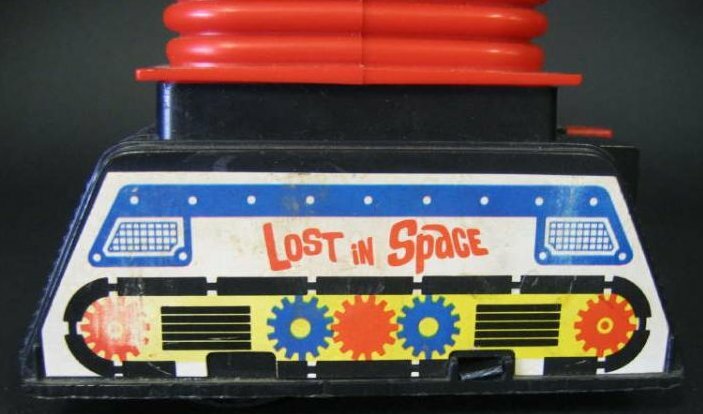 There is a light in the chest that blinks when the start bar is pushed in, and the Robot can be steered by moving the steering bar at the base. 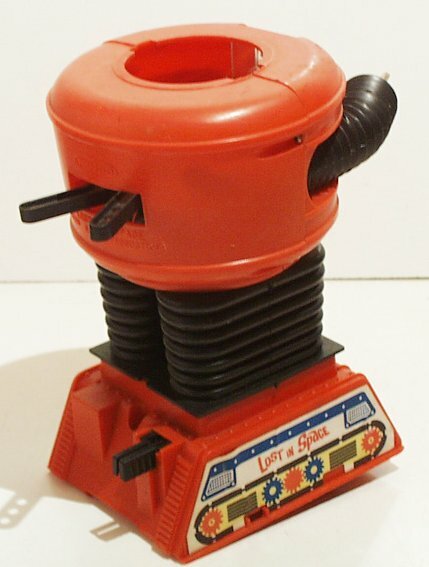 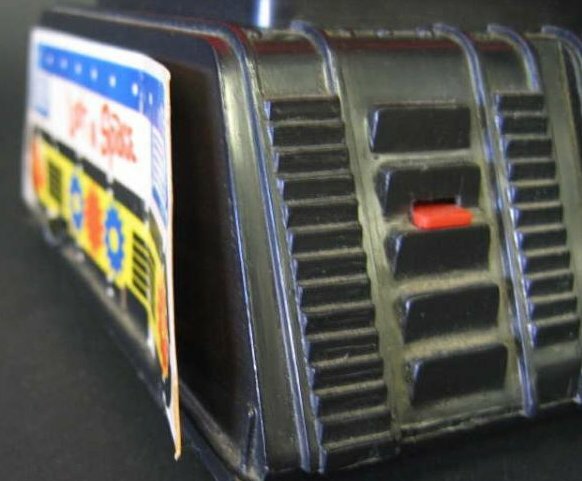 The arms can be moved by pressing on the arms levers in the back. 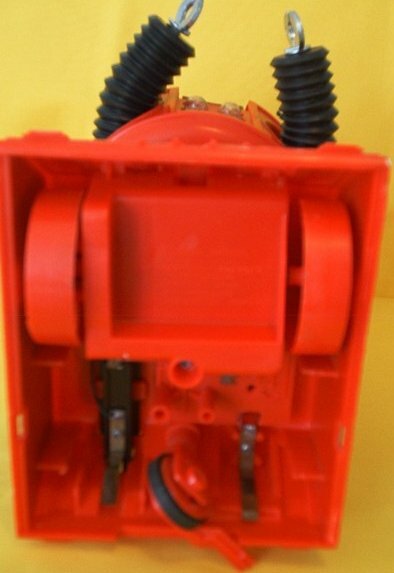 The dome has the typically found separation on these Robots, this is normal from age and not a defect. 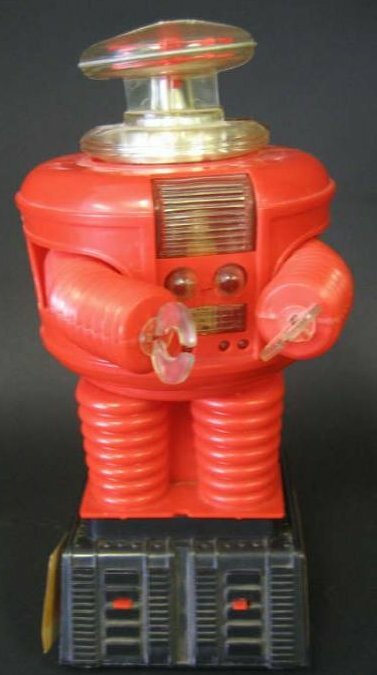 The dome is removable by turning and unlocking from the main body to replace the light bulb inside his chest.